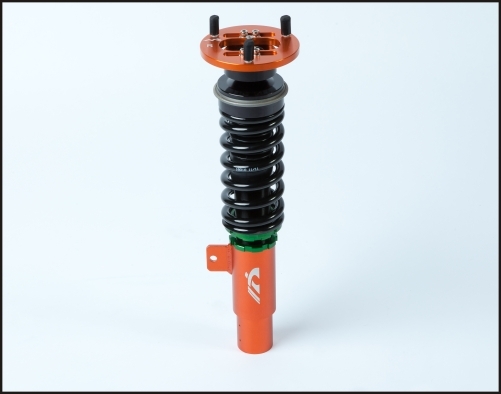 NEX Coilover Systems are designed to give you that special edge on the track. 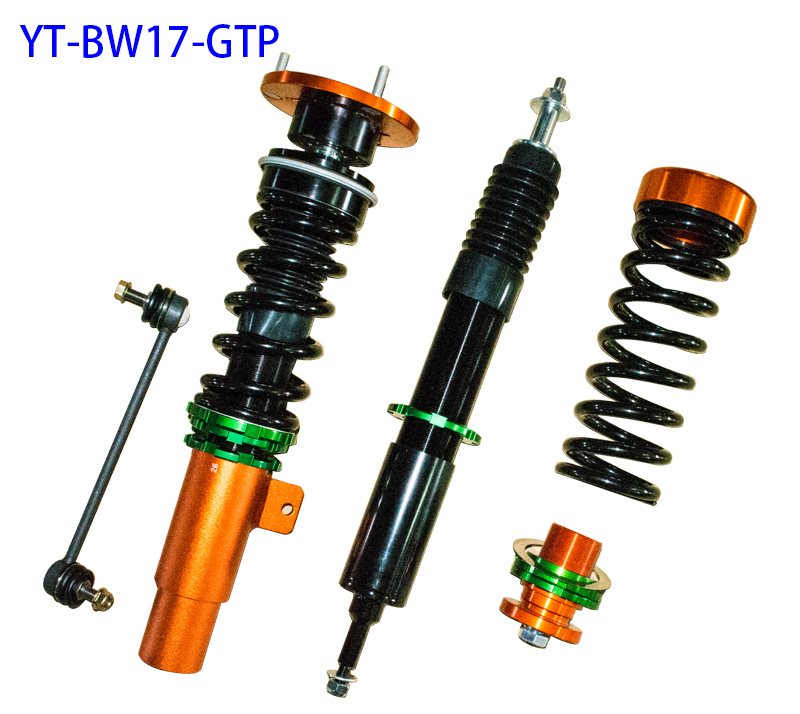 Our Performance Development Team in North America tests our suspensions to its limit at race tracks all over Canada and the USA. 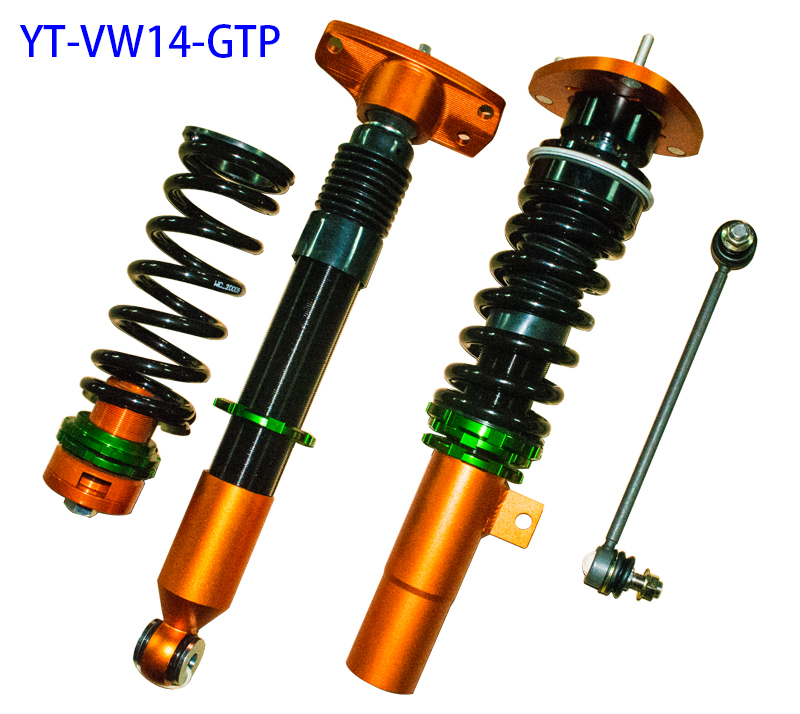 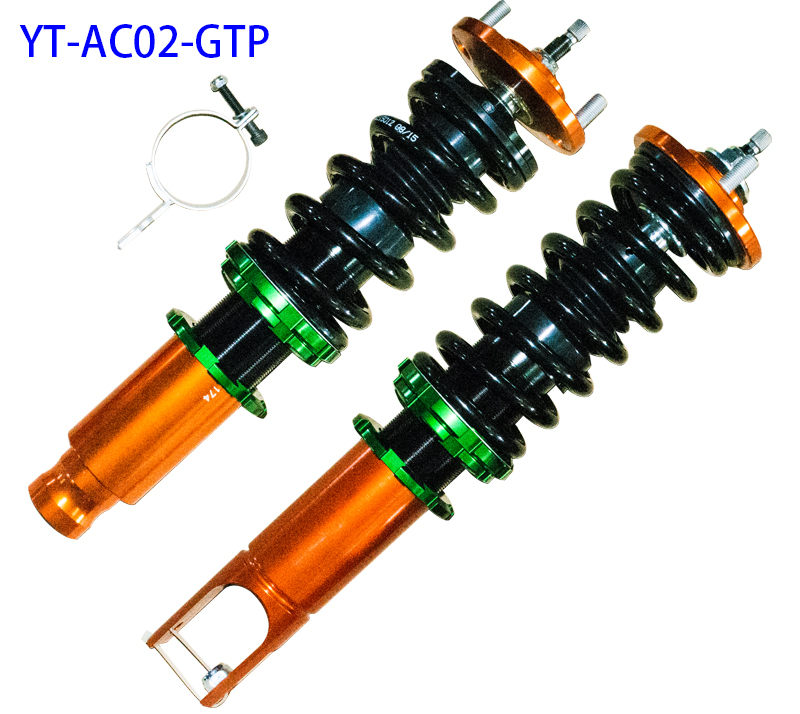 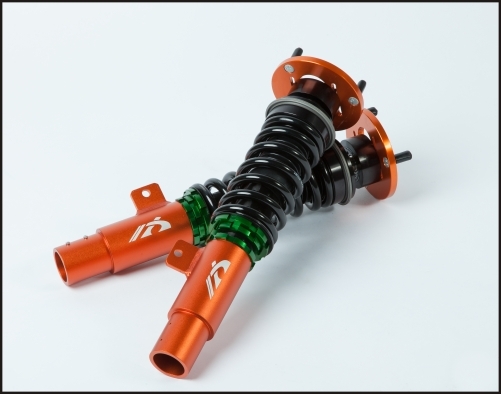 All NEX Coilover Systems are twin tube designed and constructed from the highest quality material. 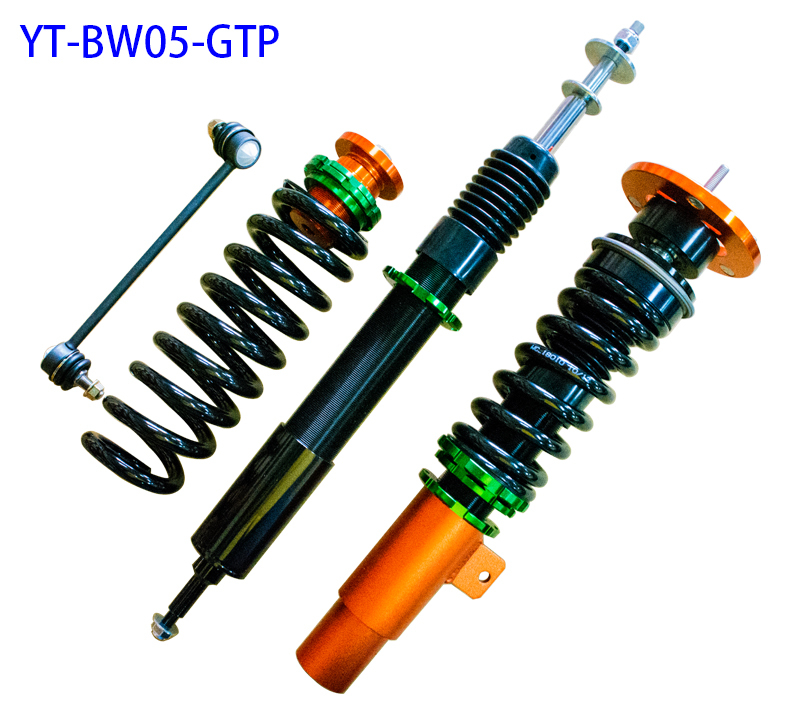 Nitrogen gas is inserted into the shock body to eliminate fluid foaming during heavy applications. 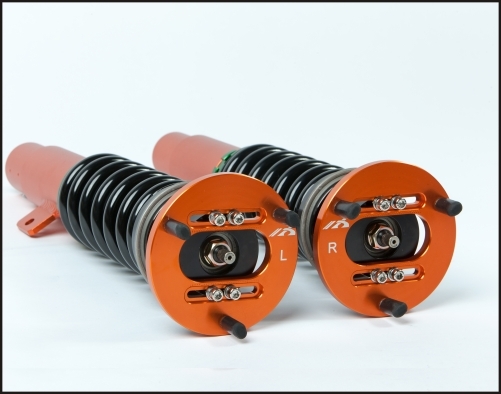 The entire shock body is then tested through 5 million random oscillations over a period of 3 weeks to ensure quality before it leaves the manufacture. 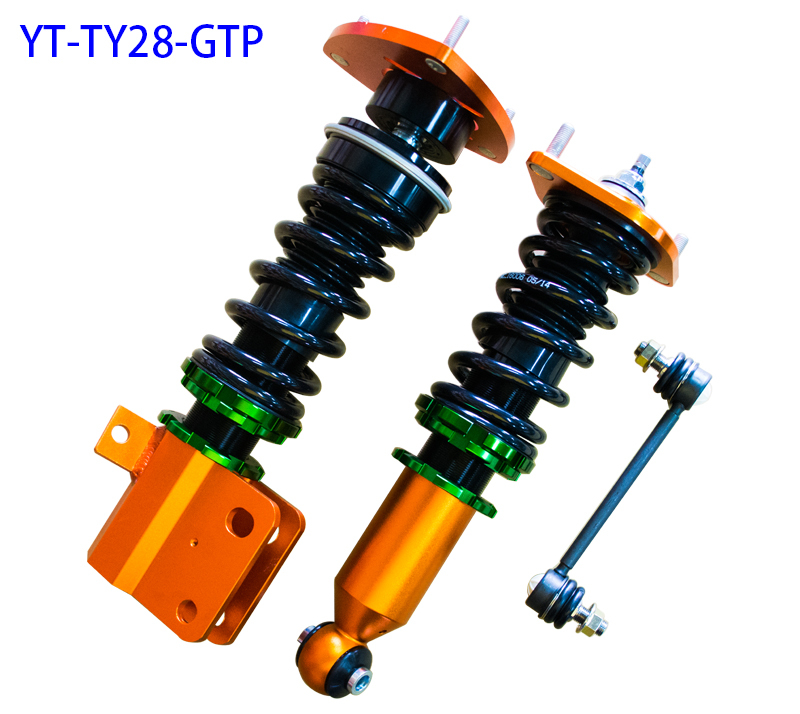 The upper and lower mounts are forged to shape from NASCAR grade 6061 aluminum and the coil springs are made from high quality SAE 9254 steel. 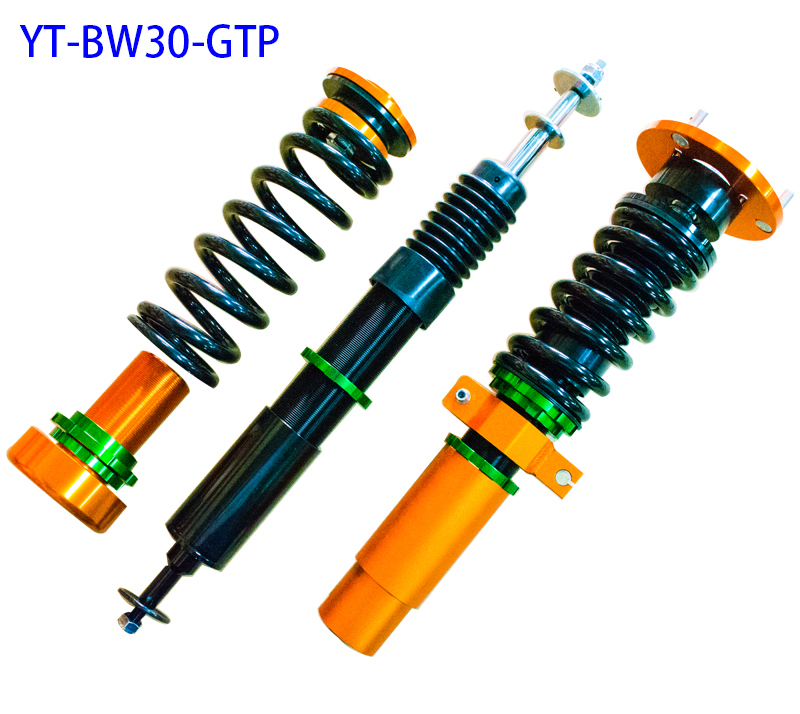 At NEX, we strive to be the industry leader in twin tube coilover systems. 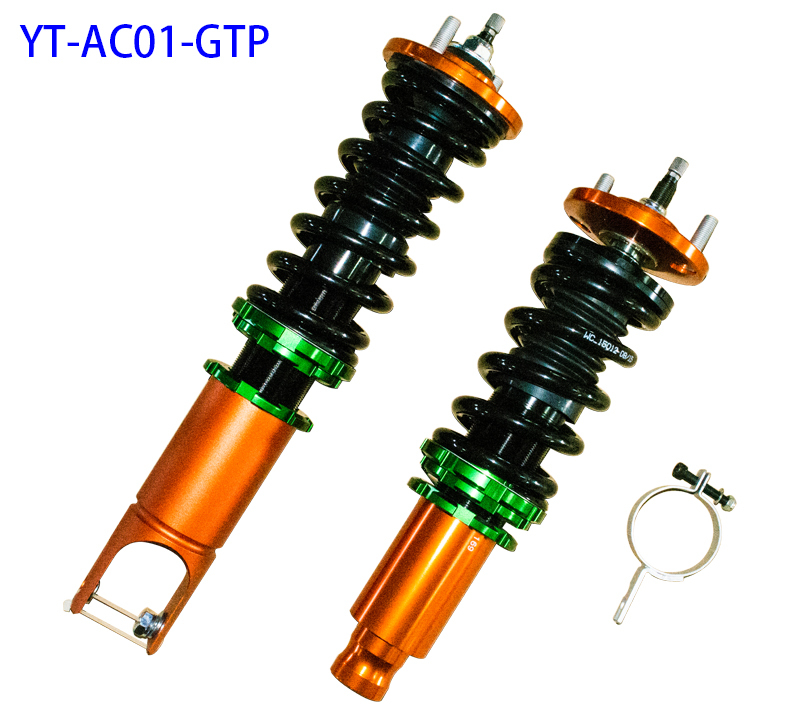 NEX’s involvement in DMCC and GT-Challenge has lead us to develop the Racing Green dampers. 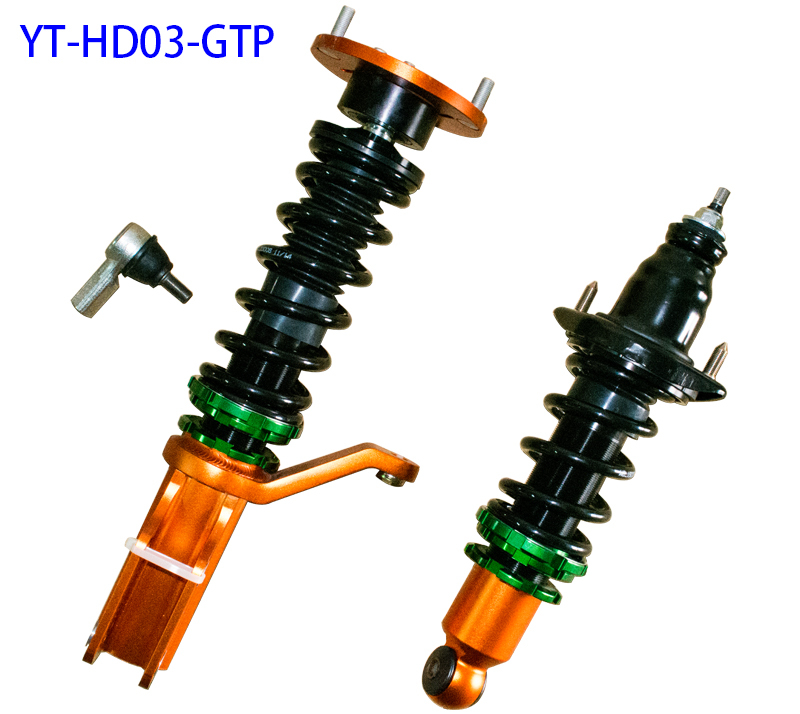 This model is specifically developed for the avid driver. 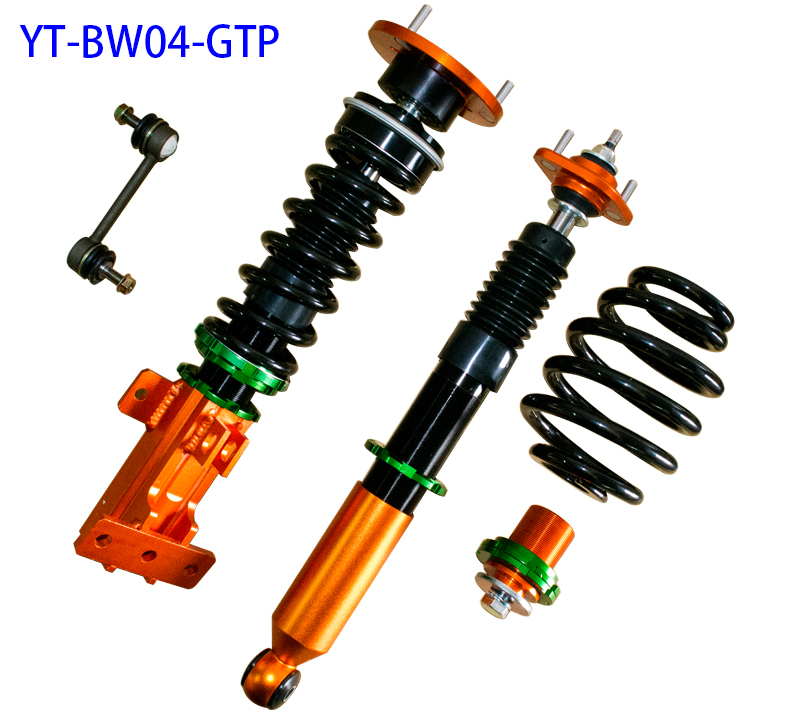 Spring rate and damping force were specially tuned to increase the car’s control in absurd situations. 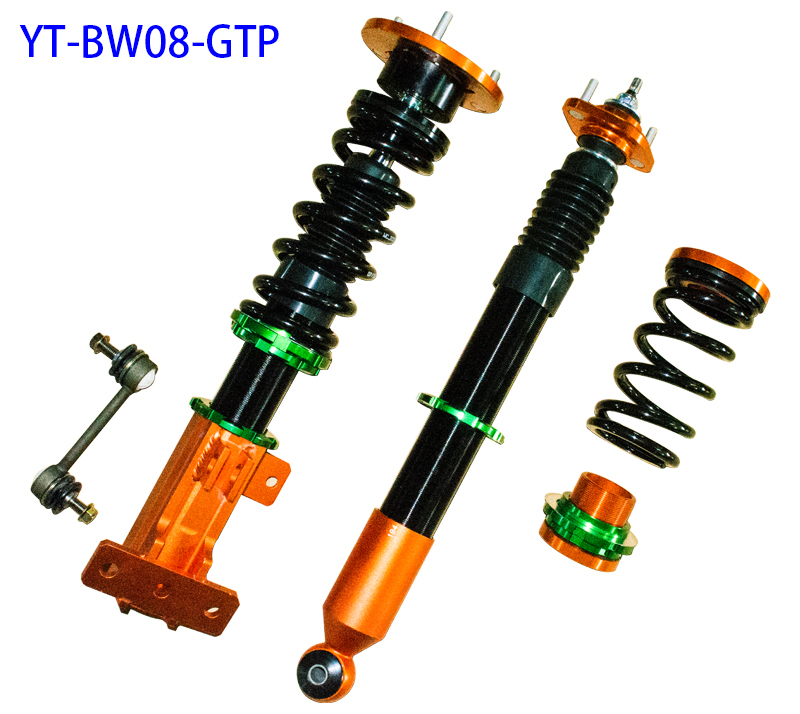 Heavy duty spherical bearing offer greater feedback by eliminating the deflections in rubber bushing. On McPherson strut type suspension, a 10mm thick camber plate is incorporated to fine tune the car’s handling characteristic. 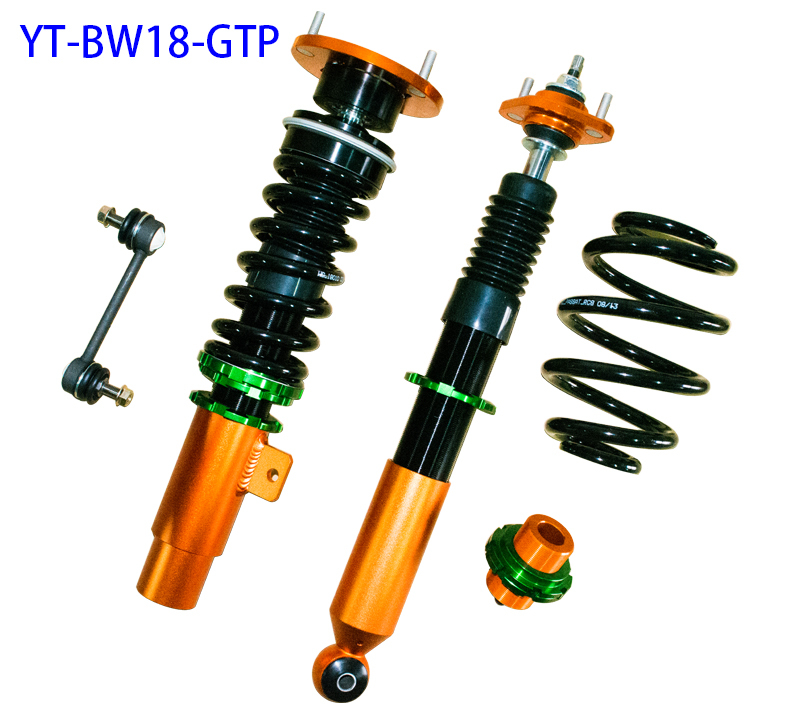 - 1-year manufacture defect warranty.